Ubuntu offers Ubuntu Cloud Images which are pre-installed disk images that have been customized by Ubuntu engineering to run on cloud-platforms such as Amazon EC2, OpenStack, Microsoft Azure and LXC. 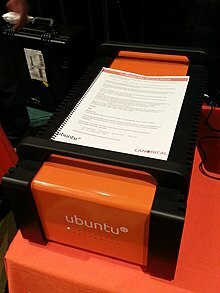 Ubuntu is also prevalent on VPS platforms such as DigitalOcean.Ubuntu 11.04 added support for OpenStack, with Eucalyptus to OpenStack migration tools added by Canonical in Ubuntu Server 11.10. Ubuntu 11.10 added focus on OpenStack as the Ubuntu's preferred IaaS offering though Eucalyptus is also supported. Another major focus is Canonical Juju for provisioning, deploying, hosting, managing, and orchestrating enterprise data center infrastructure services, by, with, and for the Ubuntu Server.